Welcome to the final installment of Our Southern Highlanders, by Horace Kephart, published in 1913. Today we will continue our discussion of the origins of the Appalachian people, then finish with a vision of change, “progress,” and change. “And the southwestward movement, once started, never stopped. So there went on a gradual but sure progress of northern peoples across the Potomac, up the Shenandoah, across the Staunton, the Dan, the Yadkin, until the western piedmont and foot-hill region of Carolina was similarly settled, chiefly by Pennsylvanians. “Among those who made the long trek from Pennsylvania southward in the eighteenth century, were Daniel Boone and the ancestors of David Crockett, Samuel Houston, John C. Calhoun, “Stonewall” Jackson, and Abraham Lincoln. Boone and the Lincolns, although English themselves, had been neighbors in Berks County, one of the most German parts of all eastern Pennsylvania. Roundheads were supporters of the Parliament of England during the English Civil War. Also known as Parliamentarians, they fought against Charles I of England and his supporters, the Cavaliers or Royalists, who claimed rule by absolute monarchy and the divine right of kings. The goal of the Roundhead party was to give the Parliament supreme control over executive administration. EvX: The Wikipedia article on the War of the Regulation. It appears to have been triggered by the newly-arrived colonial governor raising taxes in the middle of a drought in order to finance the building of his personal mansion. 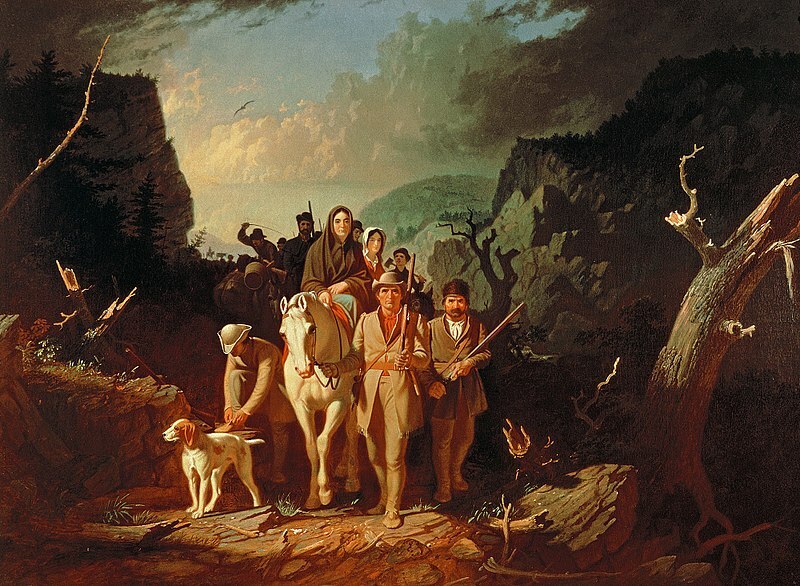 “Boone first visited Kentucky, on a hunting trip, in 1769. Six years later he began to colonize it, in flat defiance of the British government, and in the face of a menacing proclamation from the royal governor of North Carolina. On the Kentucky River, three days after the battle of Lexington, the flag of the new colony of Transylvania was run up on his fort at Boonesborough. It was not until the following August that these “rebels of Kentuck” heard of the signing of the Declaration of Independence, and celebrated it with shrill warwhoops around a bonfire in the center of their stockade. 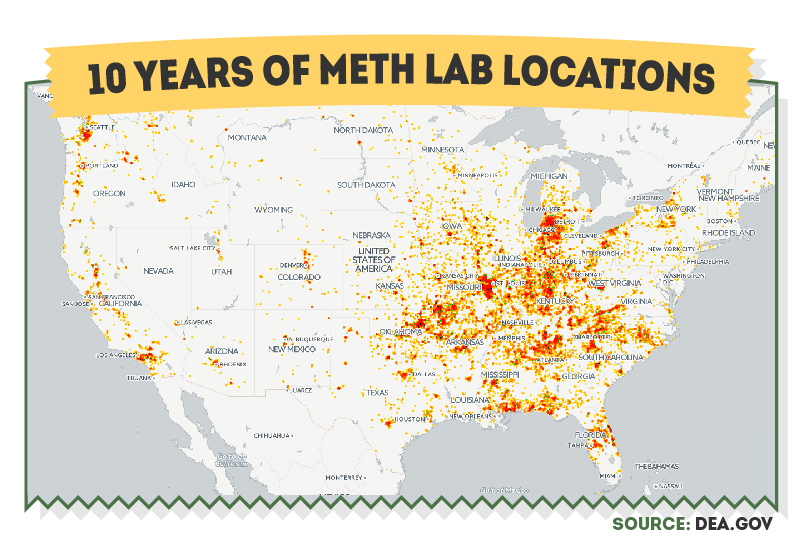 “Such was the stuff of which the Appalachian frontiersmen were made. They were the first Americans to cut loose entirely from the seaboard and fall back upon their own resources. They were the first to establish governments of their own, in defiance of king and aristocracy. 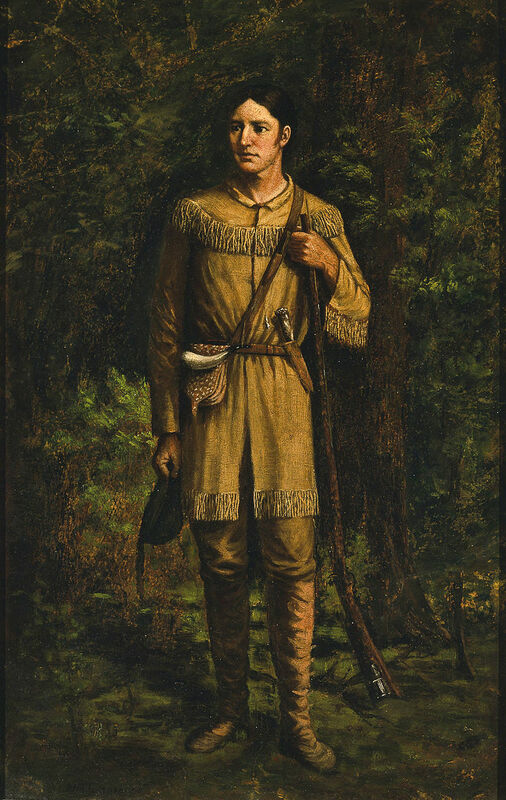 “The American mountaineer was discovered, I say, at the beginning of the war, when the Confederate leaders were counting on the presumption that Mason and Dixon’s Line was the dividing line between the North and South, and formed, therefore, the plan of marching an army from Wheeling, in West Virginia, to some point on the Lakes, and thus dissevering the North at one blow. “The plan seemed so feasible that it is said to have materially aided the sale of Confederate bonds in England. But when Captain Garnett, a West Point graduate, started to carry it out, he got no farther than Harper’s Ferry. When he struck the mountains, he struck enemies who shot at his men from ambush, cut down bridges before him, carried the news of his march to the Federals, and Garnett himself fell with a bullet from a mountaineer’s squirrel rifle at Harper’s Ferry. 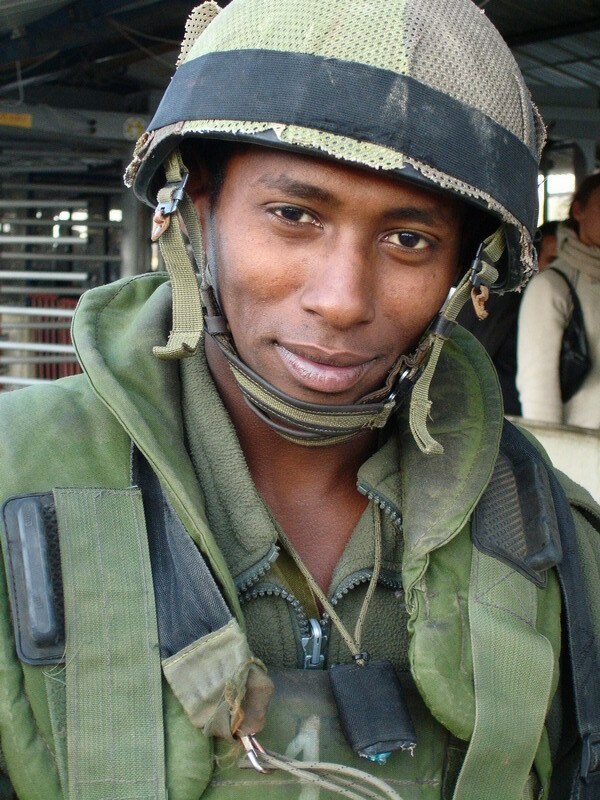 “… It may be added that no other part of our country suffered longer or more severely from the aftermath of war. Throughout that struggle the mountain region was a nest for bushwhackers and bandits that preyed upon the aged and defenseless who were left at home, and thus there was left an evil legacy of neighborhood wrongs and private grudges. Most of the mountain counties had incurred the bitter hostility of their own States by standing loyal to the Union. After Appomattox they were cast back into a worse isolation than they had ever known. Most unfortunately, too, the Federal Government, at this juncture, instead of interposing to restore law and order in the highlands, turned the loyalty of the mountaineers into outlawry, as in 1794, by imposing a prohibitive excise tax upon their chief merchantable commodity [moonshine]. 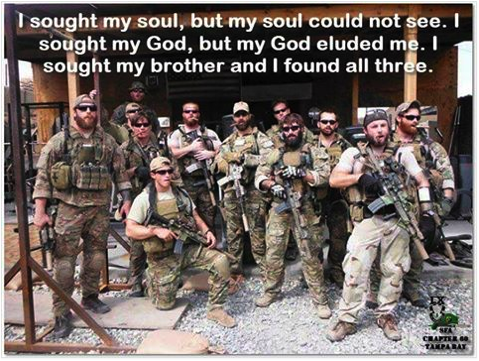 “Left, then, to their own devices, unchecked by any stronger arm, inflamed by a multitude of personal wrongs, habituated to the shedding of human blood, contemptuous of State laws that did not reach them, enraged by Federal acts that impugned, as they thought, an inalienable right of man, it was inevitable that this fiery and vindictive race should fall speedily into warring among themselves. Old scores were now to be wiped out in a reign of terror. The open combat of bannered war was turned into the secret ferocity of family feuds. “Here, then, is Appalachia: one of the great land-locked areas of the globe, more English in speech than Britain itself, more American by blood than any other part of America, encompassed by a high-tensioned civilization, yet less affected to-day by modern ideas, less cognizant of modern progress, than any other part of the English-speaking world. “Commercialism has discovered the mountains at last, and no sentiment, however honest, however hallowed, can keep it out. The transformation is swift. Suddenly the mountaineer is awakened from his eighteenth-century bed by the blare of steam whistles and the boom of dynamite. He sees his forests leveled and whisked away; his rivers dammed by concrete walls and shot into turbines that outpower all the horses in Appalachia. He is dazed by electric lights, nonplussed by speaking wires, awed by vast transfers of property, incensed by rude demands. Aroused, now, and wide-eyed, he realizes with sinking heart that here is a sudden end of that Old Dispensation under which he and his ancestors were born, the beginning of a New Order that heeds him and his neighbors not a whit. “Proudly he contrasts his ragged self: he who never has acknowledged a superior, never has taken an order from living man, save as a patriot in time of war. And he turns upon his heel. EvX: This brings us to the end of Kephart’s work. Though at times it paints an unflattering picture, he was at heart entirely sympathetic to his mountain friends and subjects; like all who observe “primitive” peoples on the cusp of modernity, he saw both the opportunities for material improvement and the dangers of spiritual (and physical) degradation. 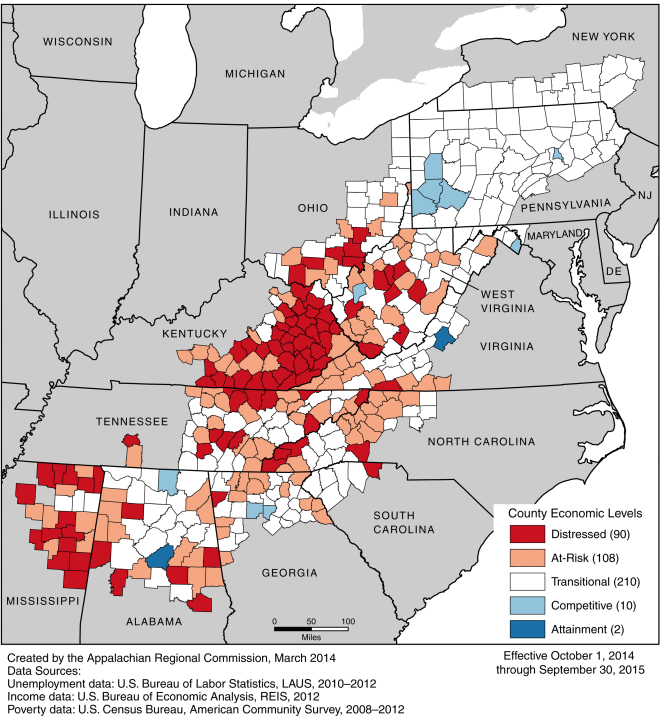 Previous posts on Appalachia: What Ails Appalachia? My first response was that, assuming the question itself was correct, then one group must have conquered the other group, imparting its language but not its DNA. On further reflection, though, I decided it’d be best to check whether the question’s initial premises were correct. The Sino-Tibetan languages, in a few sources also known as Tibeto-Burman or Trans-Himalayan, are a family of more than 400 languages spoken in East Asia, Southeast Asia and South Asia. The family is second only to the Indo-European languages in terms of the number of native speakers. The Sino-Tibetan languages with the most native speakers are the varieties of Chinese (1.3 billion speakers), Burmese (33 million) and the Tibetic languages (8 million). Many Sino-Tibetan languages are spoken by small communities in remote mountain areas and as such are poorly documented. But the Chinese government claiming that a group is an official ethnic group doesn’t make it a genetic group. “Hui” just means Muslim, and Muslims of any genetic background can get lumped into the group. I actually read some articles about the Hui ages ago, and as far as I recall, the category didn’t really exist in any official way prior to the modern PRC declaring that it did for census purposes. Today (or recently) there are some special perks for being an ethnic minority in China, like exceptions to the one-child policy, which lead more people to embrace their “Hui” identity and start thinking about themselves in this pan-Chinese-Muslim way rather than in terms of their local ethnic group, but none of this is genetics. So right away I am suspicious that this claim is more “these groups see themselves as different” than “they are genetically different.” And I totally agree that Tibetan people and Chinese people are culturally distinct and probably see themselves as different groups. This dataset doesn’t have a Tibetan group, but it does have the Nepalese Kusunda, Mongolic Tu (a Mongolic-language speaking people in China), and the Burmese Lahu. So it’s a start. The first thing that jumps out at me is that the groups in the Sino-Tibetan language family do not look all that genetically distinct, at least not on a global scale. They’re more similar than Middle Easterners and Europeans, despite the fact that Anatolian farmers invaded Europe several thousand years ago. J. A. Matisoff proposed that the urheimat of the Sino-Tibetan languages was around the upper reaches of the Yangtze, Brahmaputra, Salween, and Mekong. This view is in accordance with the hypothesis that bubonic plague, cholera, and other diseases made the easternmost foothills of the Himalayas between China and India difficult for people outside to migrate in but relatively easily for the indigenous people, who had been adapted to the environment, to migrate out. The Yangtze, Brahmaputra, Salween and Mekong rivers, as you might have already realized if you took a good look at the map at the beginning of the post, all begin in Tibet. Since Tibet was recently conquered by China, I was initially thinking that perhaps an ancient Chinese group had imposed their language on the Tibetans some time in the remote past, but Tibetans heading downstream and possibly conquering the people below makes a lot more sense. According to About World Languages, Proto-Sino-Tibetan may have split into its Tibeto- and Sinitic- branches about 4,000 BC. This is about the same time Proto-Indo-European started splitting up, so we have some idea of what a language family looks like when it’s that old; much older, and the languages start becoming so distinct that reconstruction becomes more difficult. 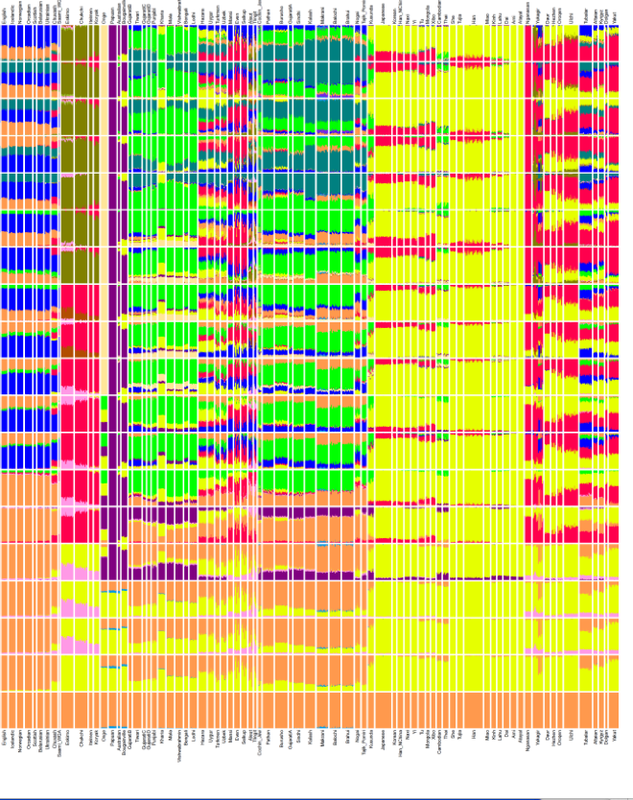 But if we look at the available genetic data a little more closely, we see that there are some major differences between Tibetans and their Sinitic neighbors–most notably, many Tibetan men belong to Y-Chromosome haplogroup D, while most Han Chinese men belong to haplogroup O with a smattering of Haplogroup C, which may have arrived via the Mongols. 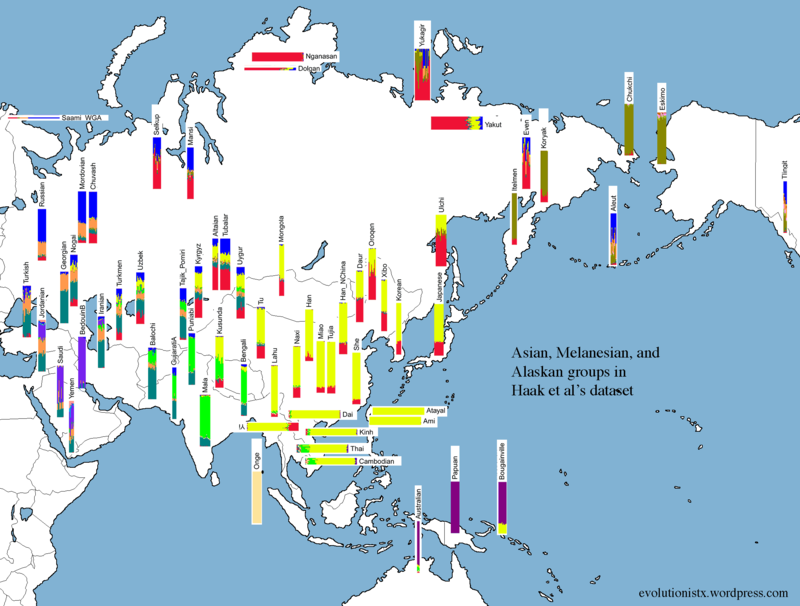 The distribution of Haplogroup D-M174 is found among nearly all the populations of Central Asia and Northeast Asia south of the Russian border, although generally at a low frequency of 2% or less. A dramatic spike in the frequency of D-M174 occurs as one approaches the Tibetan Plateau. D-M174 is also found at high frequencies among Japanese people, but it fades into low frequencies in Korea and China proper between Japan and Tibet. It is found today at high frequency among populations in Tibet, the Japanese archipelago, and the Andaman Islands, though curiously not in India. The Ainu of Japan are notable for possessing almost exclusively Haplogroup D-M174 chromosomes, although Haplogroup C-M217 chromosomes also have been found in 15% (3/20) of sampled Ainu males. 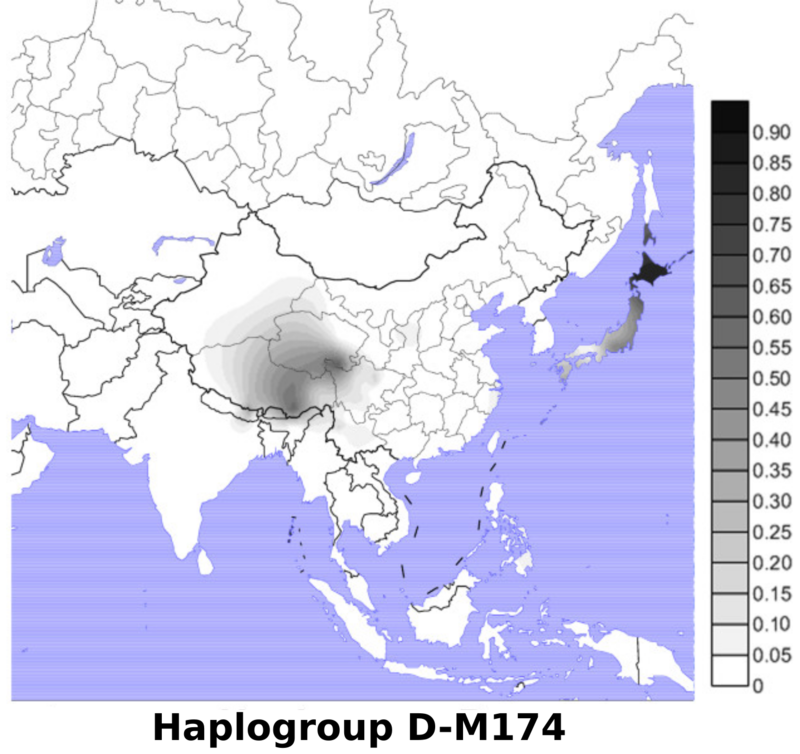 Haplogroup D-M174 chromosomes are also found at low to moderate frequencies among populations of Central Asia and northern East Asia as well as the Han and Miao–Yao peoples of China and among several minority populations of Sichuan and Yunnan that speak Tibeto-Burman languages and reside in close proximity to the Tibetans. Haplogroup D-M174 is also remarkable for its rather extreme geographic differentiation, with a distinct subset of Haplogroup D-M174 chromosomes being found exclusively in each of the populations that contains a large percentage of individuals whose Y-chromosomes belong to Haplogroup D-M174: Haplogroup D-M15 among the Tibetans (as well as among the mainland East Asian populations that display very low frequencies of Haplogroup D-M174 Y-chromosomes), Haplogroup D-M55 among the various populations of the Japanese Archipelago, Haplogroup D-P99 among the inhabitants of Tibet, Tajikistan and other parts of mountainous southern Central Asia, and paragroup D-M174 without tested positive subclades (probably another monophyletic branch of Haplogroup D) among the Andaman Islanders. Another type (or types) of paragroup D-M174 without tested positive subclades is found at a very low frequency among the Turkic and Mongolic populations of Central Asia, amounting to no more than 1% in total. This apparently ancient diversification of Haplogroup D-M174 suggests that it may perhaps be better characterized as a “super-haplogroup” or “macro-haplogroup.” In one study, the frequency of Haplogroup D-M174 without tested positive subclades found among Thais was 10%. Haplogroup D’s sister clade, Haplogroup E, (both D and E are descended from Haplogroup DE), is found almost exclusively in Africa. Haplogroup D is therefore very ancient, estimated at 50-60,000 years old. Haplogroup O, by contrast, is only about 30,000 years old. Y-chromosome haplogroup O3 is a common DNA marker in Han Chinese, as it appeared in China in prehistoric times. It is found in more than 50% of Chinese males, and ranging up to over 80% in certain regional subgroups of the Han ethnicity. However, the mitochondrial DNA (mtDNA) of Han Chinese increases in diversity as one looks from northern to southern China, which suggests that male migrants from northern China married with women from local peoples after arriving in modern-day Guangdong, Fujian, and other regions of southern China. … Another study puts Han Chinese into two groups: northern and southern Han Chinese, and it finds that the genetic characteristics of present-day northern Han Chinese was already formed as early as three-thousand years ago in the Central Plain area. The estimated contribution of northern Hans to southern Hans is substantial in both paternal and maternal lineages and a geographic cline exists for mtDNA. As a result, the northern Hans are the primary contributors to the gene pool of the southern Hans. 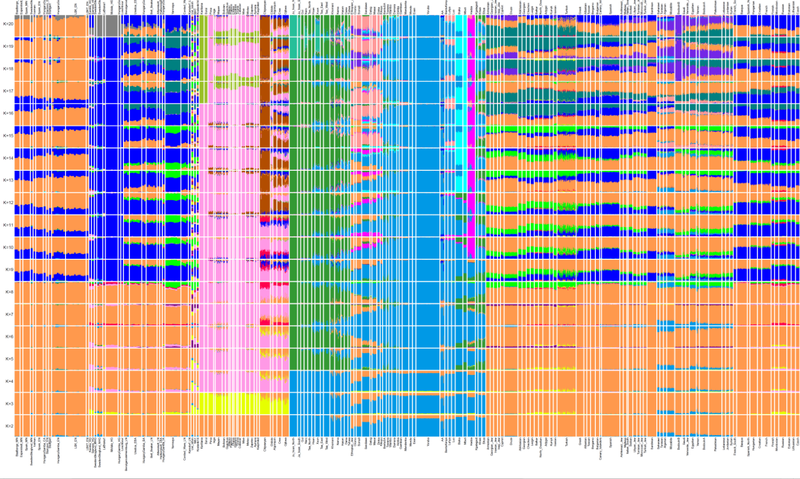 However, it is noteworthy that the expansion process was dominated by males, as is shown by a greater contribution to the Y-chromosome than the mtDNA from northern Hans to southern Hans. These genetic observations are in line with historical records of continuous and large migratory waves of northern China inhabitants escaping warfare and famine, to southern China. The term “Qiang” appears in the Classic of Poetry in reference to Tang of Shang (trad. 1675–1646 BC). They seem to have lived in a diagonal band from northern Shaanxi to northern Henan, somewhat to the south of the later Beidi. They were enemy of the Shang dynasty, who mounted expeditions against them, capturing slaves and victims for human sacrifice. The Qiang prisoners were skilled in making oracle bones. This ancient tribe is said to be the progenitor of both the modern Qiang and the Tibetan people. There are still many ethnological and linguistic links between the Qiang and the Tibetans. The Qiang tribe expanded eastward and joined the Han people in the course of historical development, while the other branch that traveled southwards, crosses over the Hengduan Mountains, and entered the Yungui Plateau; some went even farther, to Burma, forming numerous ethnic groups of the Tibetan-Burmese language family. Even today, from linguistic similarities, their relative relationship can be seen. About 8,000 years ago: neolithic people lived in Asia. 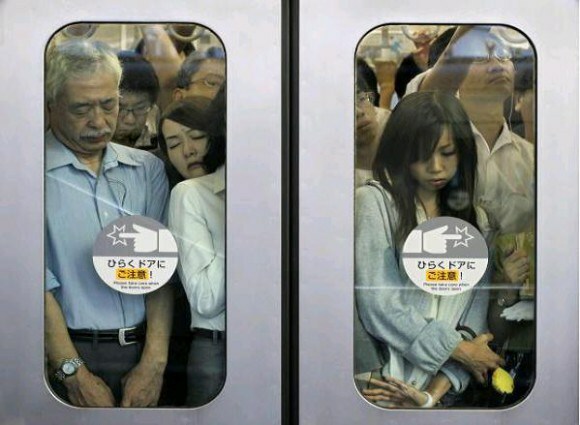 (People of some sort have been living in Asia since Homo erectus, after all.) The ancestors of today’s Sino-Tibetans lived atop the Tibetan plateau. 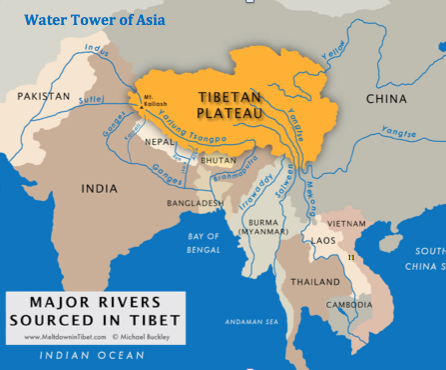 About 6,000 years ago: the Tibetans headed downstream, following the course of local rivers. In the process, the probably conquered and absorbed many of the local tribes they encountered. About 4,000 years ago: the Han and Qiang are ethnically and linguistically distinct, though the Qiang are still fairly similar to the Tibetans. The rest of Chinese history: Invasion from the north. Not only did the Mongols invade and kill somewhere between 20 and 60 million Chinese people in the 13th century, but there were also multiple of invasions/migrations by people who were trying to get away from the Mongols. Note that while the original proto-Sino-Tibetan invasion likely spread Tibetan Y-Chromosomes throughout southern China, the later Mongol and other Chinese invasions likely wiped out a large percent of those same chromosomes, as invaders both tend to be men and to kill men; women are more likely to survive invasions. Most recently, of course, the People’s Republic of China conquered Tibet in 1951. I’m sure there’s a lot I’m missing that would be obvious to an expert. I really like how this one turned out. I think I’ve finally hit my stride with arranging these rectangles. As always, feel free to ask if anything is unclear. I just realized that I left the north African ethnicities off the previous map. 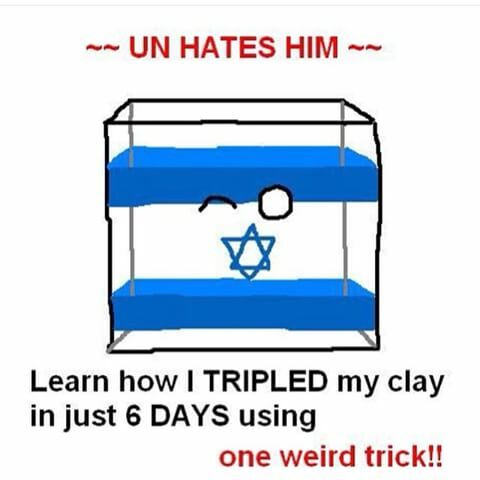 I’ll have to fix it. 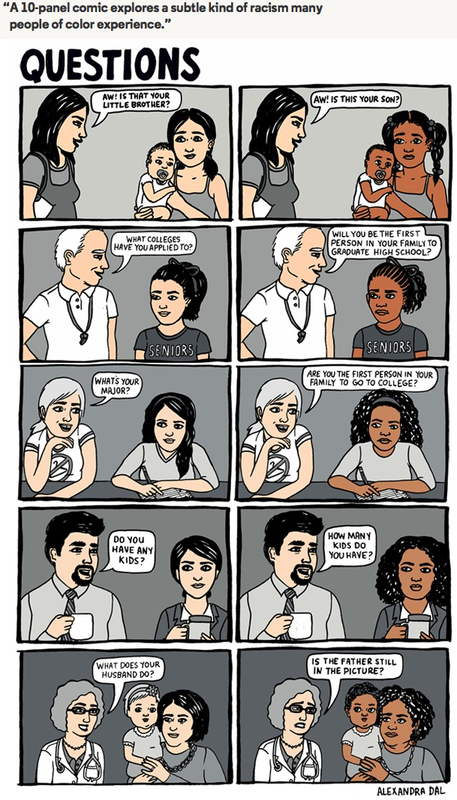 So what’s wrong with People of Color? Simply put, it doesn’t actually correspond with any meaningful, real-world group. Whenever we speak of one group of people, we of course imply the existence of everyone else who is not of that group. We can speak of Chinese and non-Chinese, whites and non-whites, Poles and non-Poles. But it is clear from this phrasing that “non-X” is not a group defined by any common characteristic, but by lack of a characteristic–whatever X is. No one attempts to describe what it is like to be “non-Chinese” because there is no such real-life group as “non-Chinese,” and there is therefore no single experience that non-Chinese people have. Meanwhile, Asians are PoC, and yet these are not questions that people typically ask Asians, because there’s no stereotype that Asians have high teen pregnancy rates and are bad at school. Asians do have to deal with racism and dumb questions, but since Asians aren’t black, their experiences aren’t black experiences. 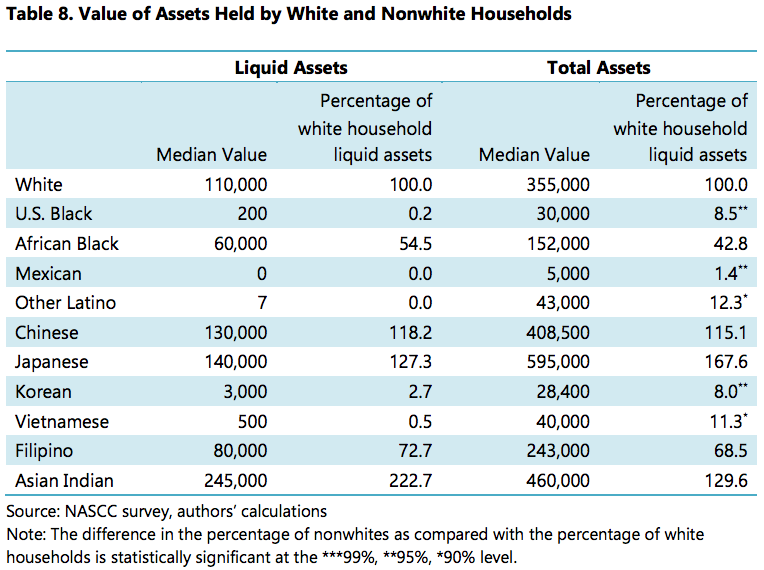 Whites are not particularly unified. It wasn’t so long ago that Germany invaded Poland and killed 1/5 of the population (not to mention all of the other people who died on various sides during WWII.) In 1932-33, the Soviet Union committed genocide against millions of Ukrainians (also white). During the Second Anglo-Boer war, the English committed genocide against the Dutch-descended people of South Africa. The Irish, Italians, and Jews are still claiming to be exempt from historical “white privilege” arguments due to discrimination against their ancestors. I could go on–the list of European wars and inter-ethnic conflicts extends approximately forever, after all. 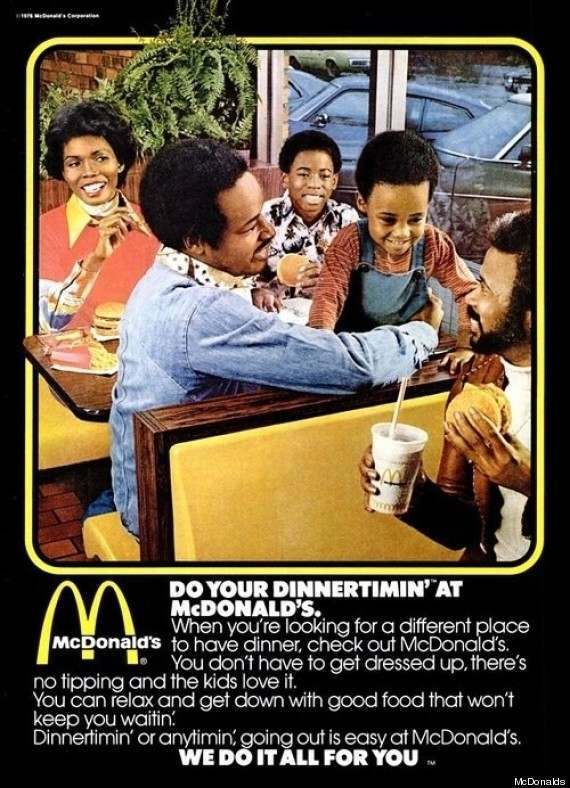 In the US, of course, “white” is a more meaningful term than in Europe, but even here, there are major distinctions of class, culture, and genetics. 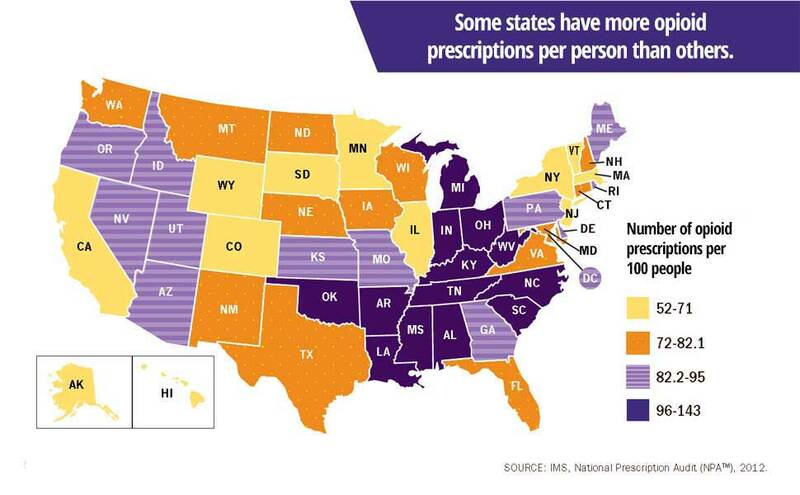 The average white person from West Virginia is not the same as the average white from New York, Texas, or Minnesota. Not only were these places originally settled by different groups of whites–Appalachia received whites from the “borderlands” region of Britain while Minnesota is heavily Scandinavian–but they currently have very different cultures. Class further complicates matters, with Southern and rural whites generally seen as low-class (and treated accordingly) by other whites. 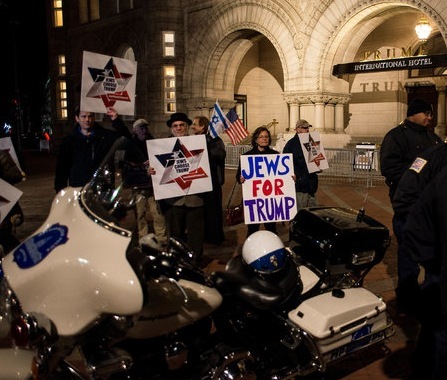 Much of our current political debate can be seen as a fight between white social classes, with wealthy whites using a coalition of non-whites as a cudgel against poor whites. Look, “race” is a social construct the way “color” is a social construct. There is no sharp dividing line between “red” and “orange,” but we don’t go saying that the electromagentic spectrum is a myth. 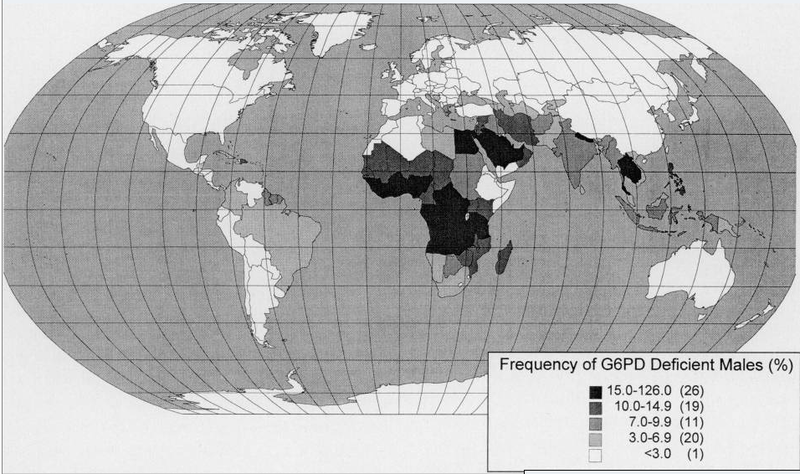 The “light blue” portion is found only in Africa. The “orange” is Europe and Asia. 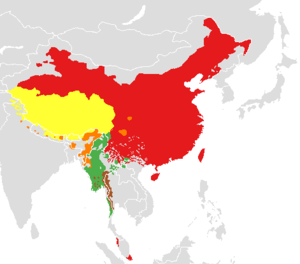 The “yellow” is east-Asian. There’s an entire field of science devoted to tracing ancient migrations via the patterns found in modern human DNA, because the DNA of different ethnic groups is different. 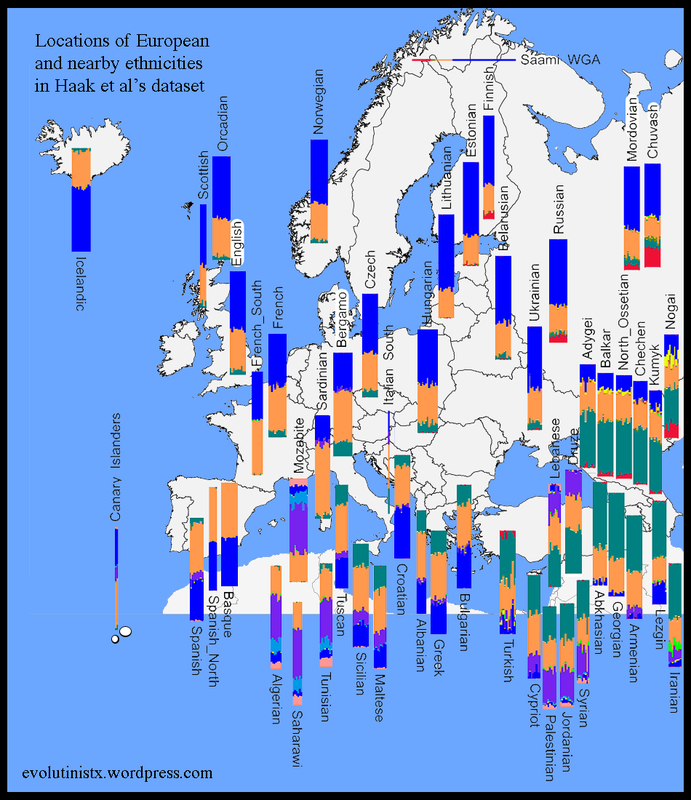 Black, white, and Asian are, in fact, fundamental genetic groupings as a result of early human migrations. Although organ transplants can occur between races, matches are more difficult to achieve for blacks. 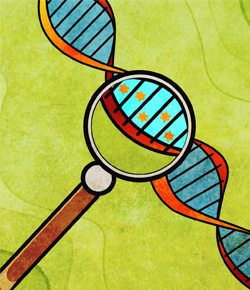 Transplant recipients must have similar genes in their immune systems to those of the donor. Otherwise, the body will reject the organ. Pharmacogenetic research in the past few decades has uncovered significant differences among racial and ethnic groups in the metabolism, clinical effectiveness, and side-effect profiles of many clinically important drugs. The interactions between genetics and medication are complicated, and doctors have to know this because it puts their patients at risk not to. No word is perfect. Every ethnonym represents a compromise between absolute accuracy and being able to make any statements about human groups at all. Not all English are the same, but we can still make some generalized statements that are basically true for most English people. Not all Chinese are the same, but we can still speaking meaningfully about “the Chinese.” There is a huge amount of variation among “whites,” “blacks,” and “Asians,” but even at this coarse level, we can still say some meaningful things. “PoC” is a political term that corresponds to no real-world culture or group.